Coincidences can be funny old things. Sometimes they stare you in the face but go unnoticed. This happened to us this week. My wife, Karin, and I went to pay our council rates - not sure what this would be called in other countries, it's a tax on house owners to pay for local services: rubbish, libraries, roads, police etc. 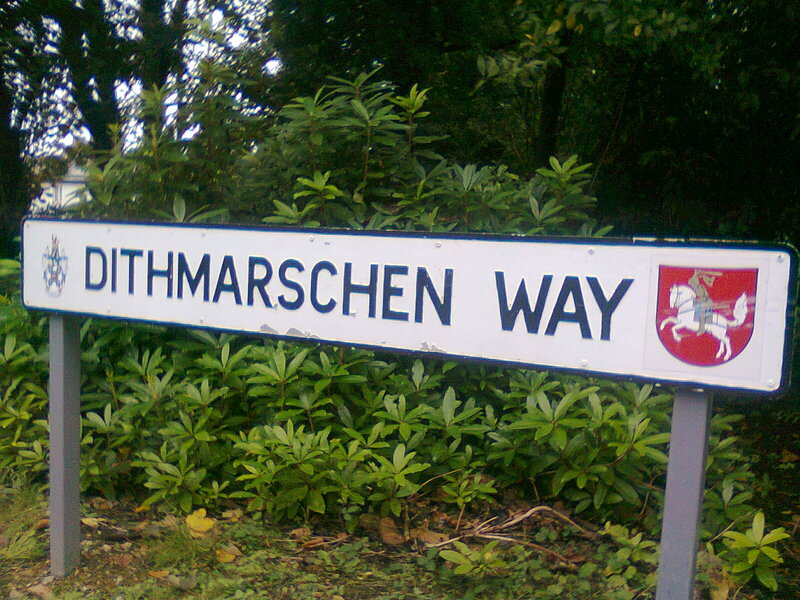 As we drove out of the council offices we noticed that the small road was called Dithmarschen Way. "Good gracious," Karin said, "Dithmarschen is where my mother was born." Maybe not those exact words, but something similar. I stopped to take a photo of the sign, which also had the Dithmarschen coat of arms, with my camera. To think that for years we have gone to the council offices every month but had never noticed this. 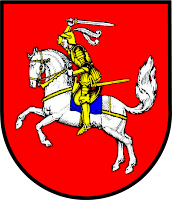 Dithmarschen is in Germany and is a district of Schleswig-Holstein. Karin, was born in Germany in Schleswig-Holstein. By another coincidence Karin had just received a letter from her cousin who told her that she had just visited Dithmarschen. Okay, not exactly an earth shattering coincidence or synchronicity story but how strange that the place we chose to live in Cornwall, England would have a link to Karin's heritage in Germany. It's a small world. I like these kinds of synchros. They always strike me as confirmations. And it is kind of funny that neither of you ever noticed it!